All Ways Rigging Gear stocks a range of shackles that are used in various static and lifting chain systems as links to connect other fittings. We also stock Grade ‘M’ and commercial type shackles. 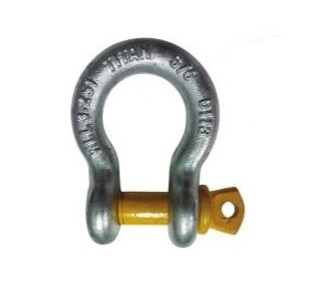 All Ways Rigging Gear, Australia’s range of shackles includes chain shackles with screw pin, anchor shackle with screw pin, safety chain shackle (bolt type) and anchor chain shackle (bolt type).